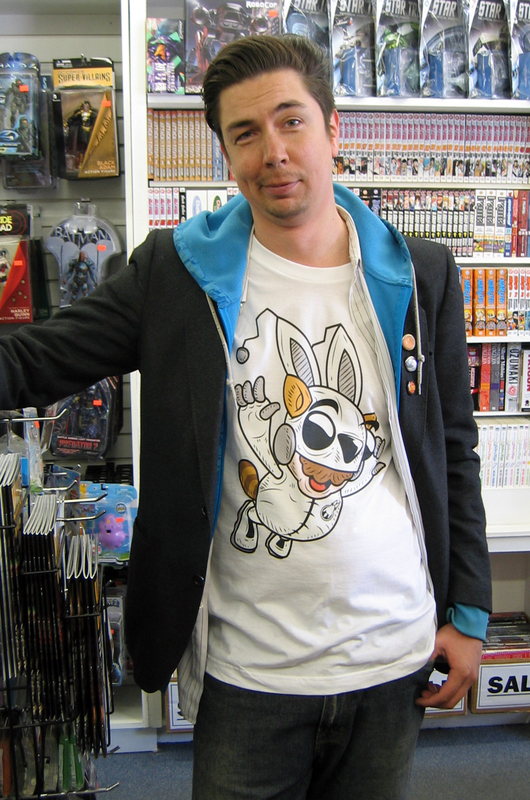 Richard wearing our Super Drovio Bros T-shirt! Thanks Richard! This entry was posted in Friends Of The Drove and tagged comic, drove, merch, NES, Nintendo, parody, sci-fi, Super Mario, the drove, thedrove, Video Games, webcomic. Bookmark the permalink. ← “The Walking Drove” T-Shirts On Sale NOW!